Vanderveer Industrial Plastics provides custom fabrication, distribution, and reverse engineering services to a vast array of Industries within the Southern California market, the national market, as well as the international market. "The art of being involved in a trade that creates parts for use within special applications." 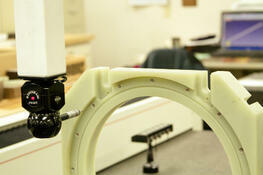 Our custom plastics fabrication services are focused on meeting the design and specification needs of our customers. The combination of our highly skilled machinists, modern facilities, and state of the art equipment enable us to achieve the utmost in production accuracy and repeatability. In addition to our custom capabilities, we also stock and distribute a wide range of materials, composites, and laminates. These "off the shelf" materials are engineered to a variety of specifications and are available in sheet, rod, or tube. We pride ourselves on keeping only the highest grade of materials in stock, which is why we obtain and stock domestic, American made materials. One would define this as the art of discovering the technological principles of a device, object, or system through analysis of structure, function, and/or operation. Our Engineers on staff have extensive knowledge of the materials we deal in, from thermoset high-pressure laminates to thermoplastics, they are here to help. We are able to discuss physical properties, machinability, and the relative costs and benefits of any and all materials you may have questions about. Vanderveer Industrial Plastics focuses on building long-standing relationships with not just our customers, but employees and distributor partners alike. Earning that trust drives everything that we do: from the supply of materials and components of the very best quality and uniform consistency., to producing high-quality, close-tolerance with cost-efficient approaches, to guaranteeing on-time delivery – and delivering precisely what we promise. We have forged long partnerships with aerospace, oil & gas, semiconductor, and subsea business giants alike.For almost seven decades, Vanderveer Industrial Plastics high-quality materials and cost-efficient solutions have enabled exacting customers around the world to realize their goals, aim higher and redefine what’s attainable. We are enthusiastic about regularly increasing our expertise, products, and services to benefit you, the customer. Beyond the aerospace and defense partners our company has served since its inception, we are privileged to support engineers and design groups in several dynamic industries. All Vanderveer Industrial Plastics build-to-print elements are machined in our 29,000-square-foot machine shop. Our company employs skilled, impassioned professionals and is optimally equipped to satisfy our customers’ desires for premier-quality material and production components. Vanderveer Industrial Plastics has over sixty years of expertise within the plastics machining and fabrication trade, making us an excellent selection for businesses that need top quality plastic products – as well as reliable advice. As a distributor, we concentrate on supplying plastic sheets, rods, and tubes for a range of various applications As a fabricator, we conjointly offer a variety of machining talents, everything from wear strips to housings, and every part in between. 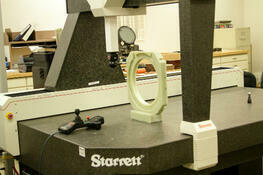 With our extensive industry and product knowledge, we understand the needs of our customers. We are a small team, working closely with one another, to offer you a personalized service that can be hard to come by in this day and age. Located in Placentia, California, we are open Mon to Th, 8.00am-5.00pm, and Fri 7:30am-4:30pm. Plastics, it's in OUR name, it’s WHO we are, and it’s WHAT we do. Our standards for quality service.